After the Montreal Canadiens’ season was over, it was pretty well known that general manager Marc Bergevin and head coach Claude Julien would return next year. However, the same couldn’t be said for the assistant coaches and that was confirmed today as Dominique Ducharme was hired as an assistant coach while Jean-Jacques Daigneault and Dan Lacroix were let go. The move was a long time coming and, on the surface, the Ducharme hire looks an excellent one for the Habs. It was obvious the Habs needed some new voices, especially behind the bench going into next season. Ducharme’s resume in junior hockey, specifically in the QMJHL, as a head coach is impressive. He has a Memorial Cup from his time with the Halifax Mooseheads and silver and gold medals as head coach of Team Canada at the World Juniors. As the Habs are becoming a much younger team, it helps to have someone like Ducharme be the bridge between them and Julien, but he has also shown how well he works with young players, including elite ones. One of the more interesting connections with this hire is to Jonathan Drouin. Ducharme was Drouin’s coach in junior when he was with Halifax and at his best. Drouin struggled in his first year with the Habs, playing centre on a new team. Perhaps the addition of Ducharme and having the coach who helped him in his formative years, and got excellent results out of him, will spark something in his game. 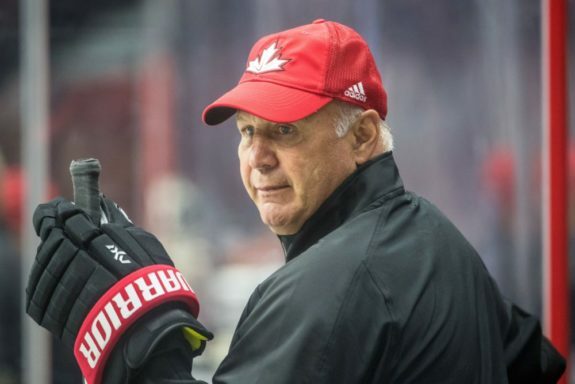 As for other familiar faces, Ducharme also coached defencemen Noah Juulsen and Victor Mete with Team Canada in 2017 and 2018 respectively. It’s a bit surprising that the Habs brought Ducharme directly to the NHL as opposed to naming him head coach of the AHL’s Laval Rocket. It could mean they want Ducharme to work with the young players already in the NHL but it also sets him up as the heir apparent to become the next head coach of the Habs. With the team insisting on a Quebecois head coach, the coaching pool is small with few options; that can often lead to retreads out of necessity. When Michel Therrien was fired, it happened to come a few days after Julien was fired by the Boston Bruins. Julien was quickly brought in as the Habs’ head coach, his second stint with the organization. Despite being a Stanley Cup-winning coach, Julien is coaches with an old-school mentality. Ducharme fits the Quebecois narrative but is also one of the most promising up-and-coming coaches, one who embraces skill and speed. With this unique situation, the Habs needed to groom a coach from within to eventually take over for Julien one day and Ducharme was the best candidate to do so. 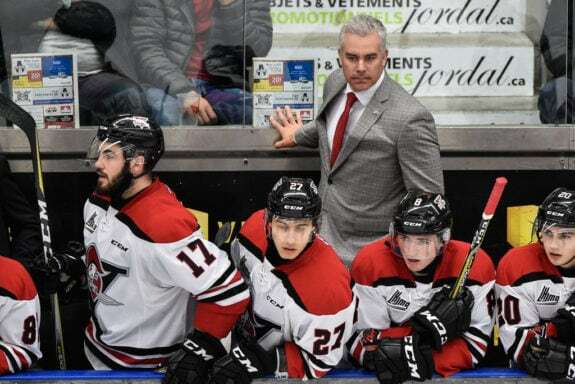 Bringing in Ducharme gives the Habs fresh blood behind the bench and, given his impressive resume in the QMJHL, he is one of the rising prospects in the coaching world. As the Habs skew younger in the coming years, he is being given the opportunity to grow with them. He fits the Habs’ requirements for the head coaching position as a Quebec-native and should he become the next head coach, wouldn’t be a retread. The Habs still have a ton of work to do but the Ducharme hire was a step in the right direction for the organization.